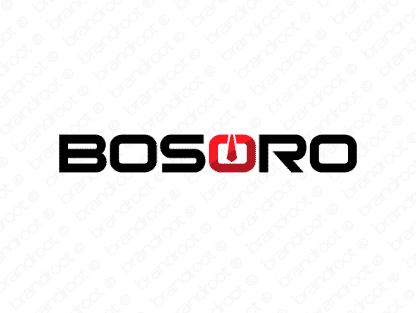 Brand bosoro is for sale on Brandroot.com! A smart play on the word "boss" that invites you to take the lead. Bosoro combines decisiveness and leadership with a smooth flowing feel, a good match for management consultancies or logistics services. You will have full ownership and rights to Bosoro.com. One of our professional Brandroot representatives will contact you and walk you through the entire transfer process.